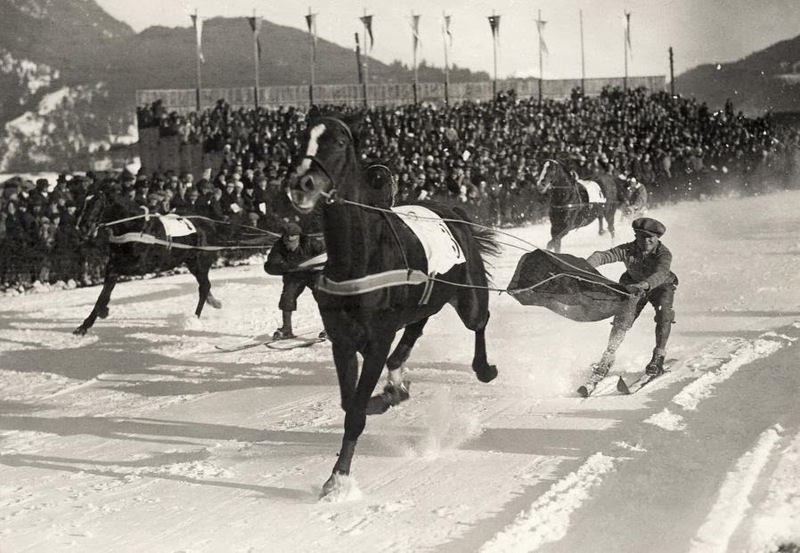 The end of another Winter Olympics! 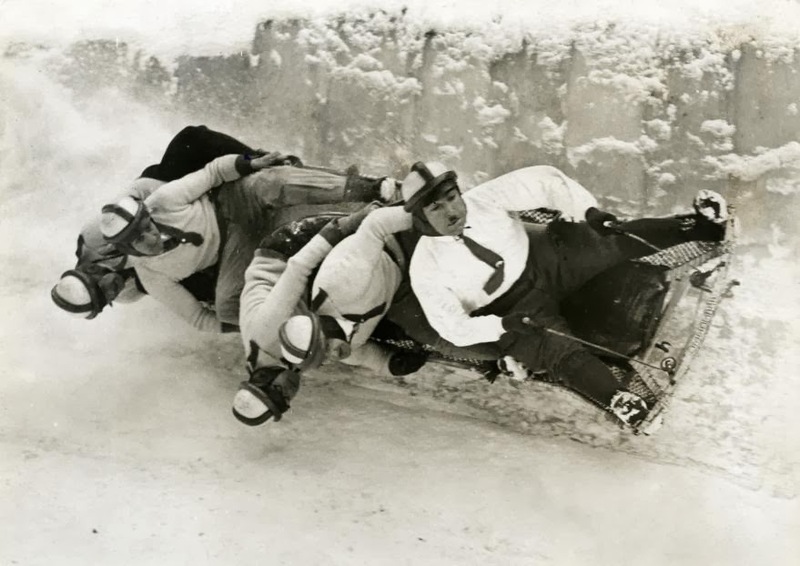 I really love the Winter Olympics-- for a lot of reasons (one of the big ones being I'm Canadian and we're good at them, haha), but most relevantly because they get us to watch and actually care about the kinds of winter sports most people never even think about otherwise. 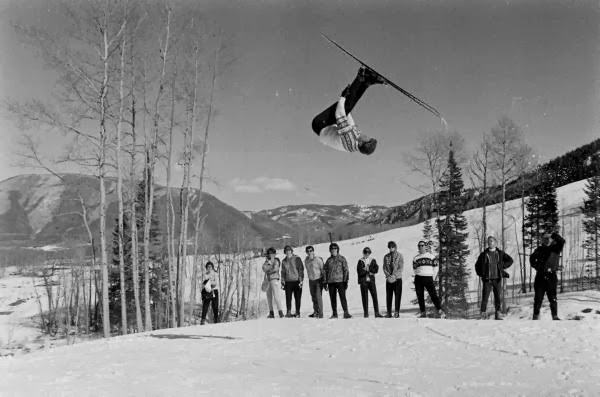 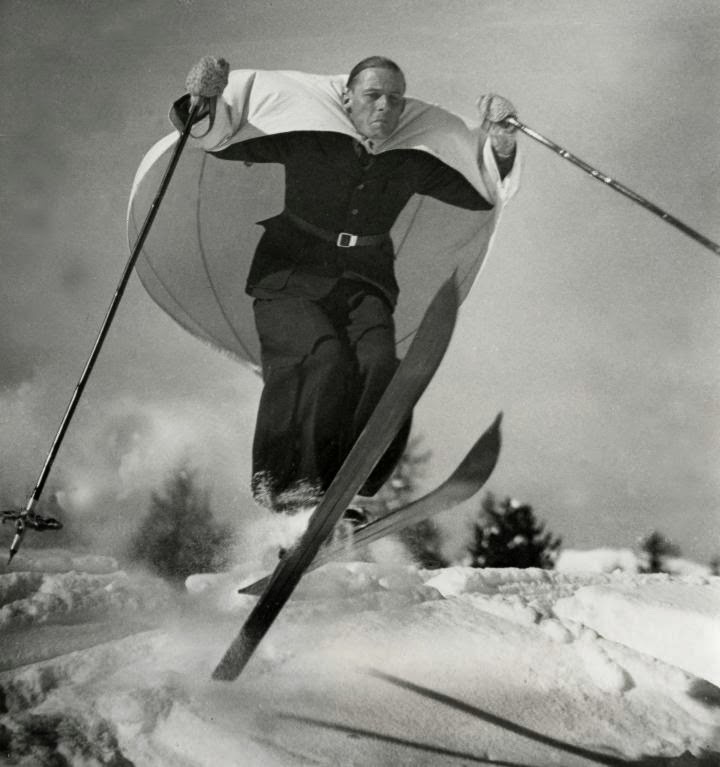 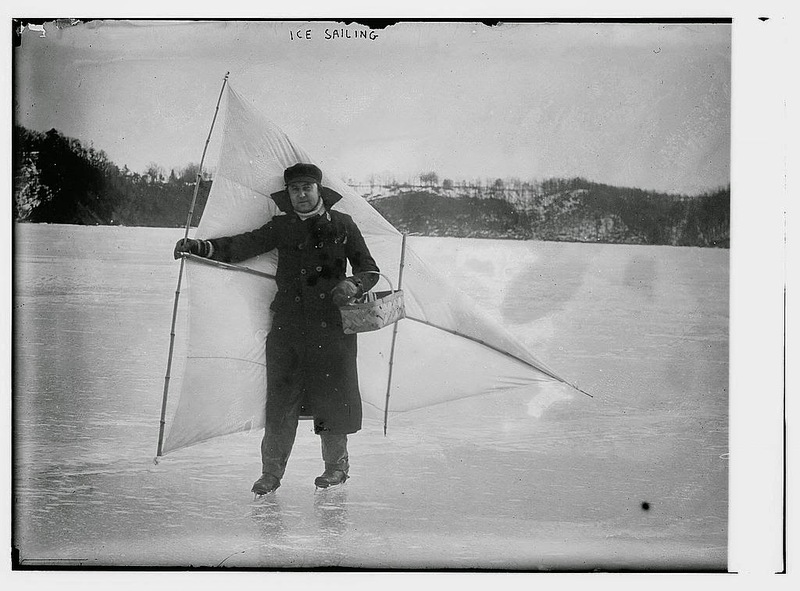 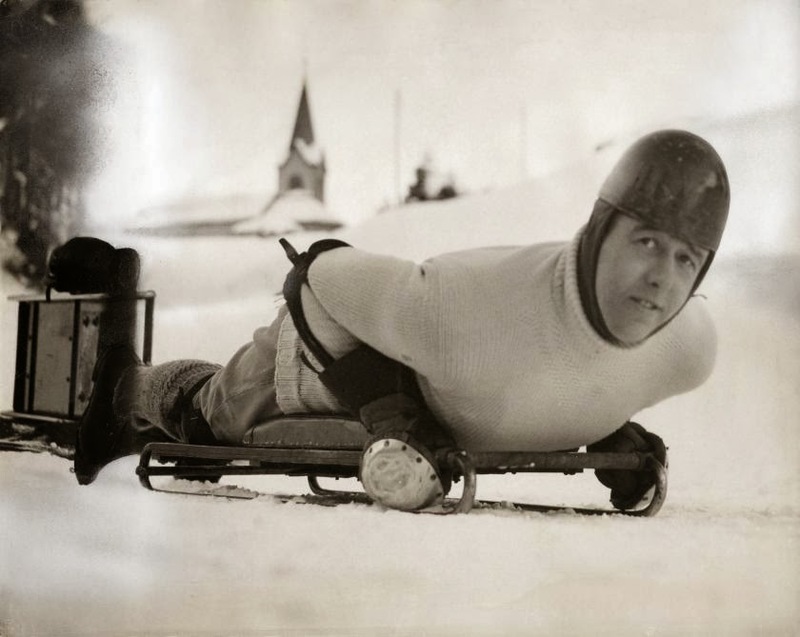 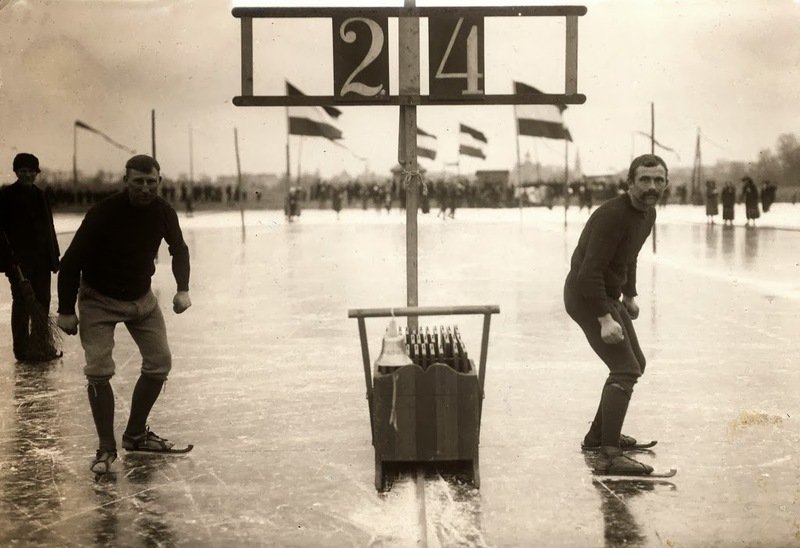 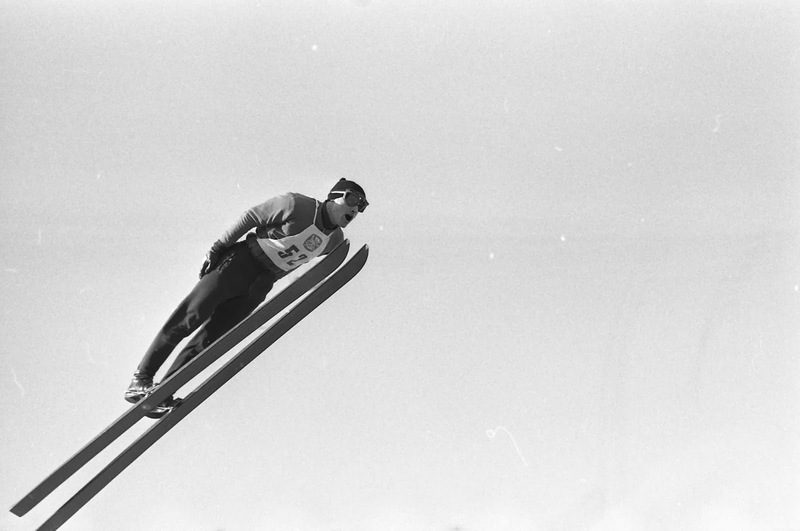 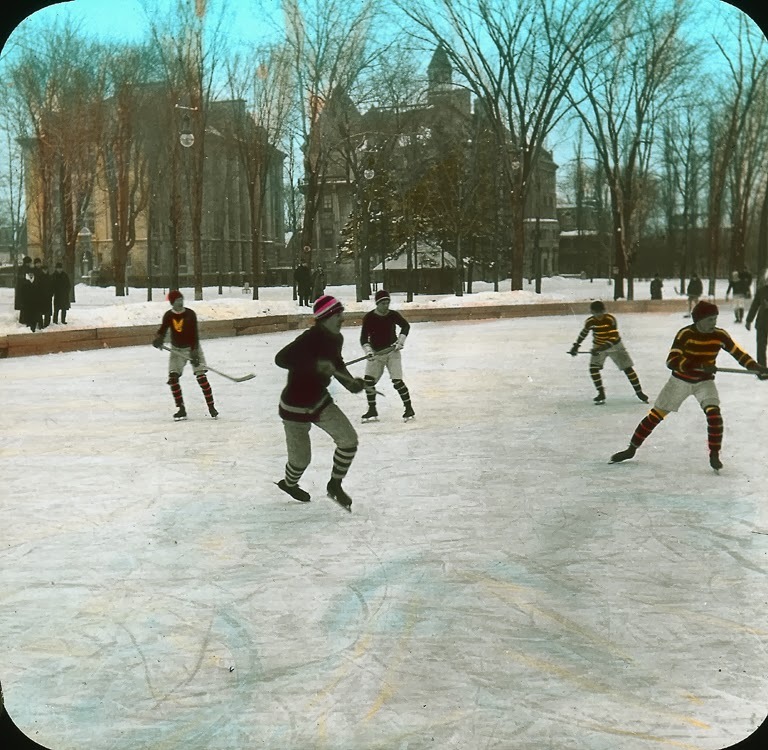 This blog has already covered such standard sports as skiing, skating, and hockey, so this post is dedicated to those 'weird' ones (plus a few classics I couldn't resist... plus a few winter sports just too weird for the Olympics!). 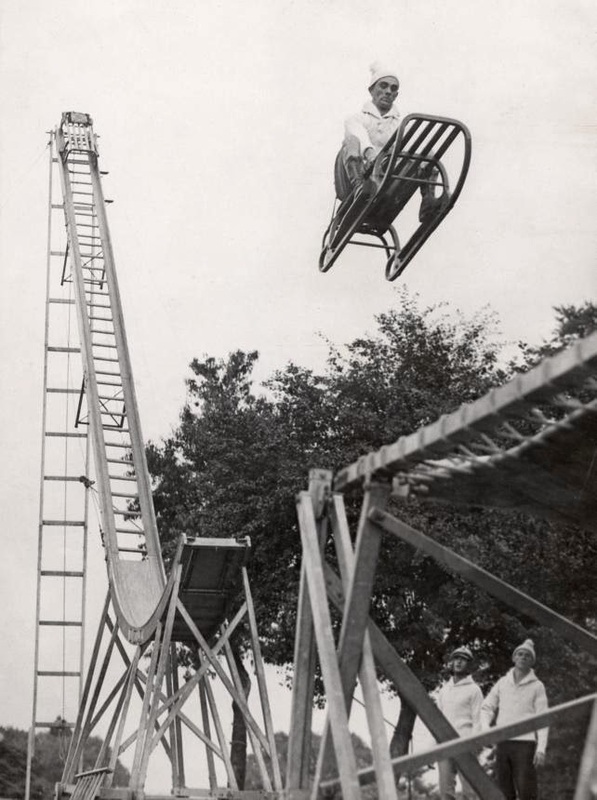 We'll start with one of the odder (and one of my favourites): aerials! 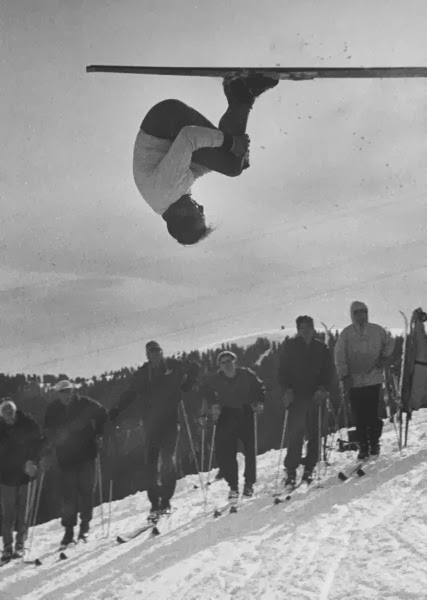 I have no idea when aerials became a 'proper' sport, but these fellows were certainly doing an early version of it in the 1950s! 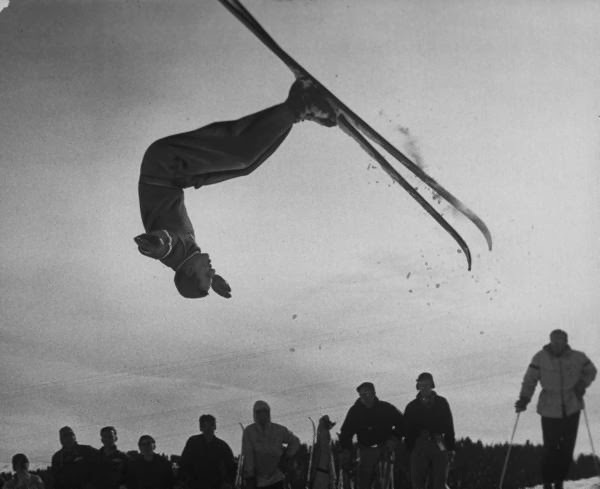 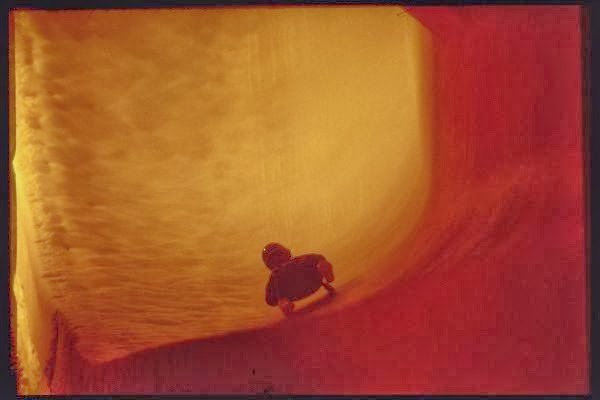 J. R. Eyerman, LIFE © Time Inc. 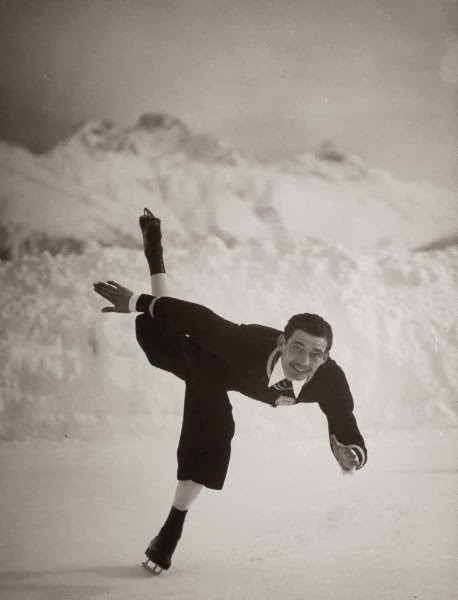 Figure skating, another classic, but who could resist this outfit? 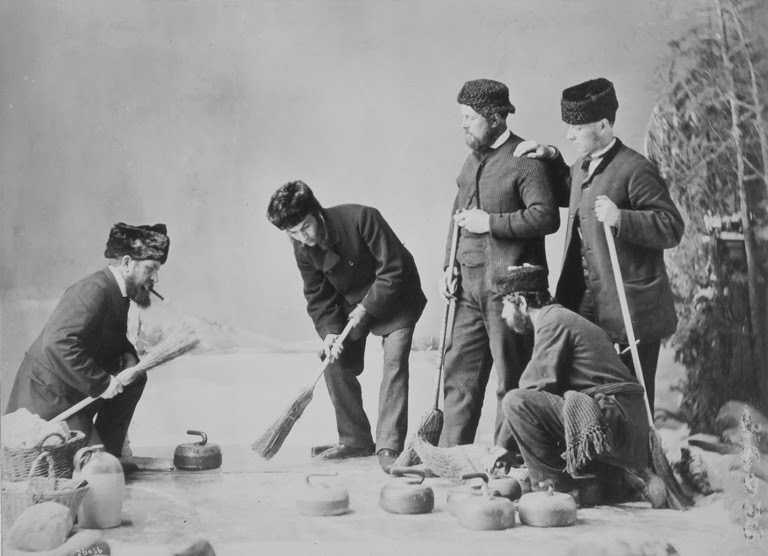 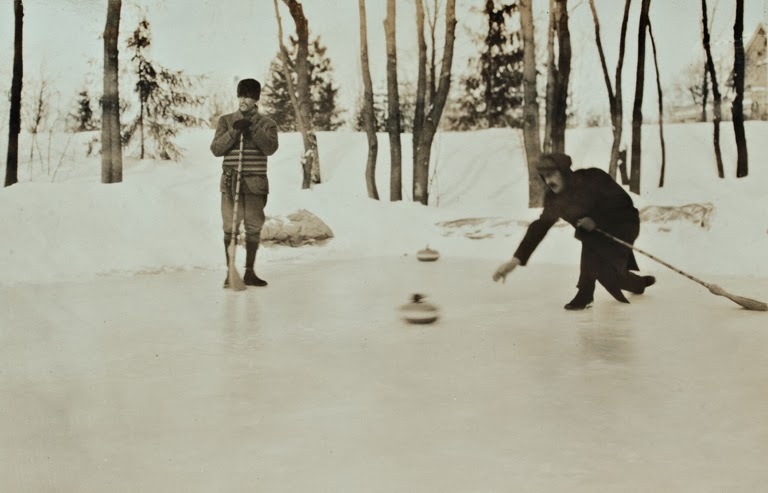 Now this is high-octane curling action! 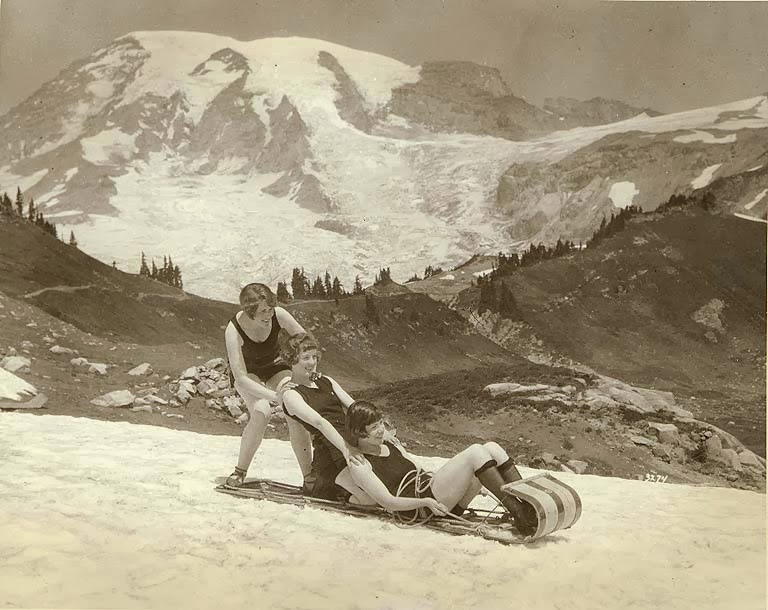 And of course, the classic "Tobogganing in Swimsuits"! 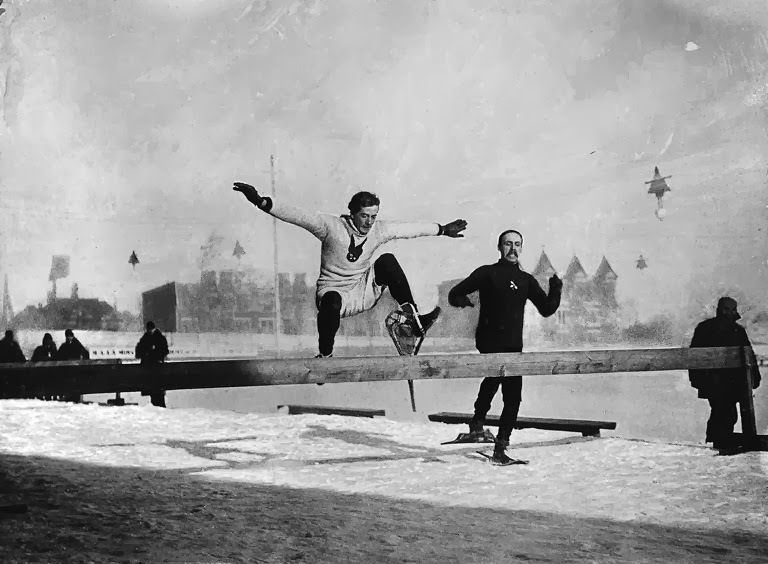 Bonus: a video of "Tennis on Ice"!